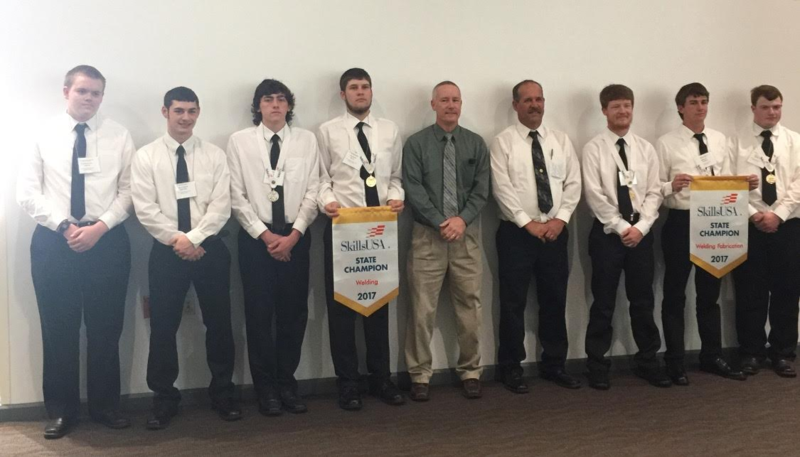 The West Side Welding team brought home the Gold for the the fifth year in row in the Welding Fabrication contest. The team members are Tristen Cottrell, Dillion Perkins, and David Maxey. West Side Welders also brought home the Gold in the Welding contest for fourth year in a row and the Silver for the second year in a row. Gold medal winner was Payton Dean and Silver was Austin Murphree. Payton along with the Welding Fabrication team will compete in the SkillsUSA nationals in Louisville Kentucky in June. Nate Smith and Matthew Keeton also competed in the Pipe Welding competition they both did a really good job but failed to make the top three. Mr. Carr said that he thanks God for all the success that he has had with his program.